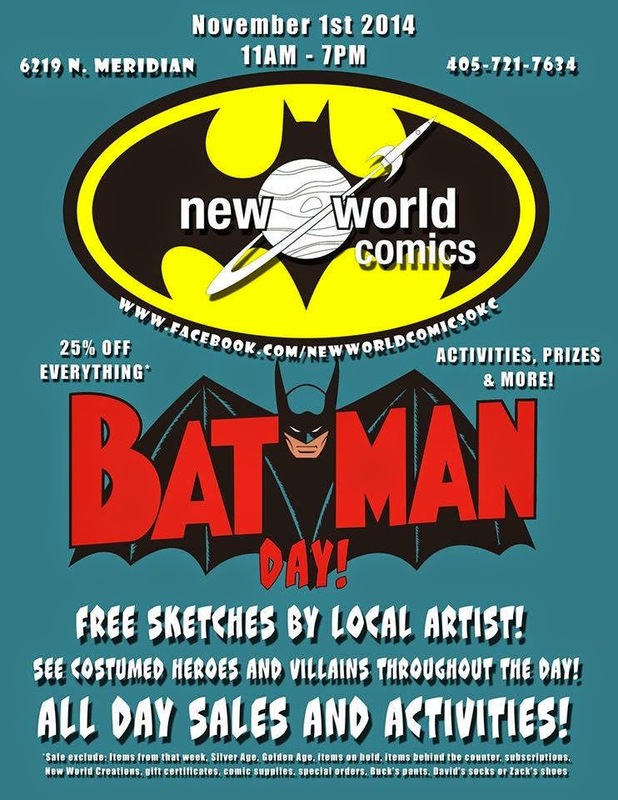 BAT - BLOG : BATMAN TOYS and COLLECTIBLES: OKLAHOMA CITY, OK - Come Celebrate BATMAN DAY at New World Comics on Nov 1st! OKLAHOMA CITY, OK - Come Celebrate BATMAN DAY at New World Comics on Nov 1st! 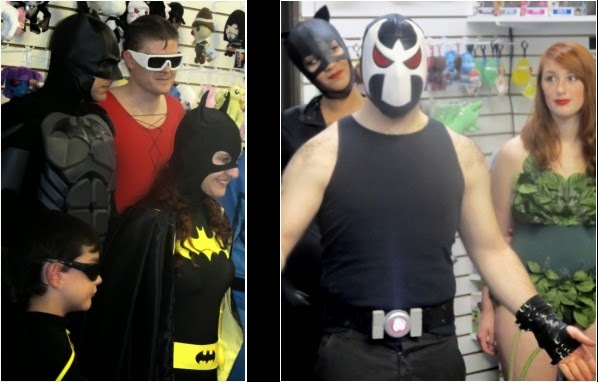 There will be Fun Activities, Prizes, Free Sketches by Local Artists, Awesome Cosplay, and almost everything in the store is 25% off! It starts at 11:00 am and runs until 7:00 pm. Activites will be going on ALL DAY! I'll be there (Duh!) and I hope to see you there too! !